Zenit Kazan off to Berlin for their 5th consecutive final! Just as they did a year ago, Russia’s Zenit Kazan, having knocked out Perugia in the semi-final, go through to their seventh Champions League final. And so it is that, following their 3 -1 return-leg win over Sir Colussi Sicoma Perugia, the Umbrian team now travel to Berlin to complete their journey towards the most important of European trophies. The win by Alekno's team came a result of their closeness and a great performance from Mikhailov. For Perugia, León's serves were missing. The Cuban, once eagerly awaited in Kazan, failed to leave his mark on the match. For Kazan, the Club sporting the Erreà that have not missed out on the Final Four since 2010/11, it is the fifth consecutive final, having reached seven overall with five wins. 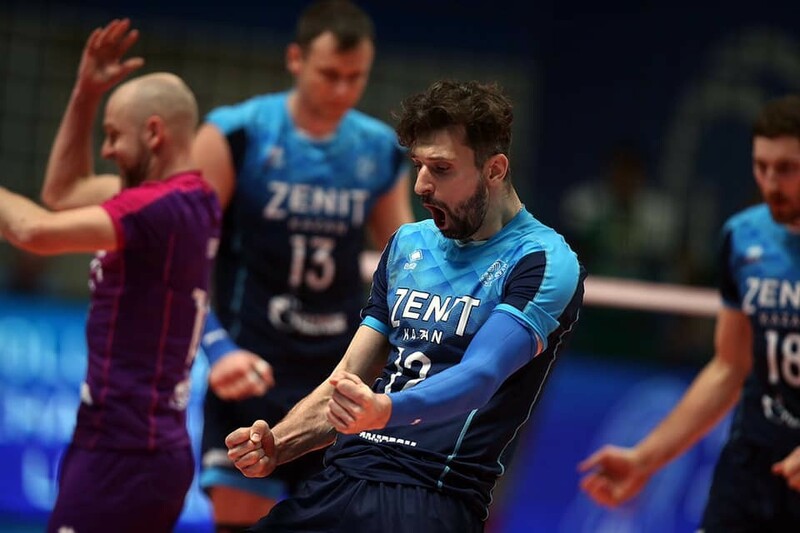 In the final, to be played on 18 May in Berlin, Zenit will faceLa Cucina Lube Civitanova who beat Skra Belchatow to reach the final of the Champions League for the third time in their history, in a match that will be a repeat of last year’s game.